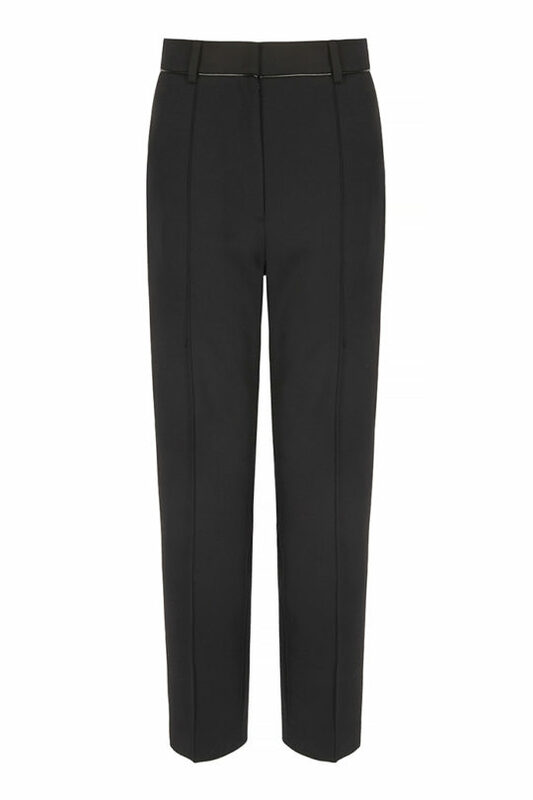 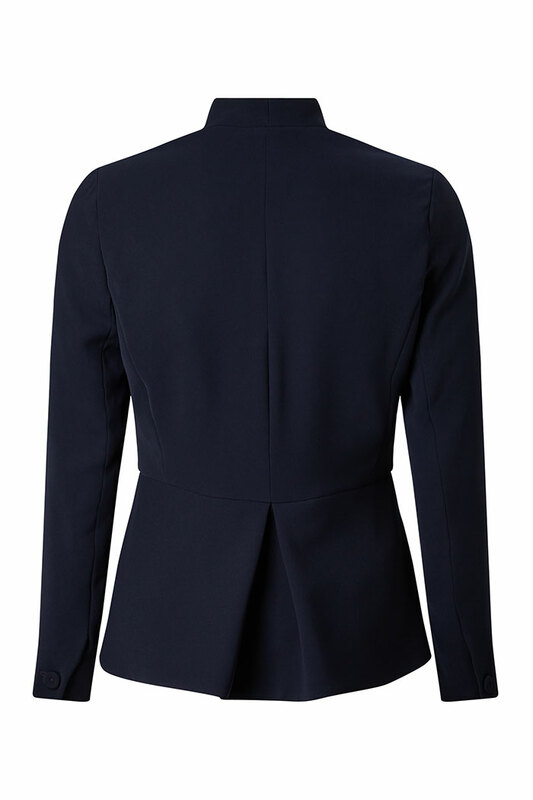 A Fold classic, cut from refined, crease-resistant navy twill in a waist-defining peplum style. 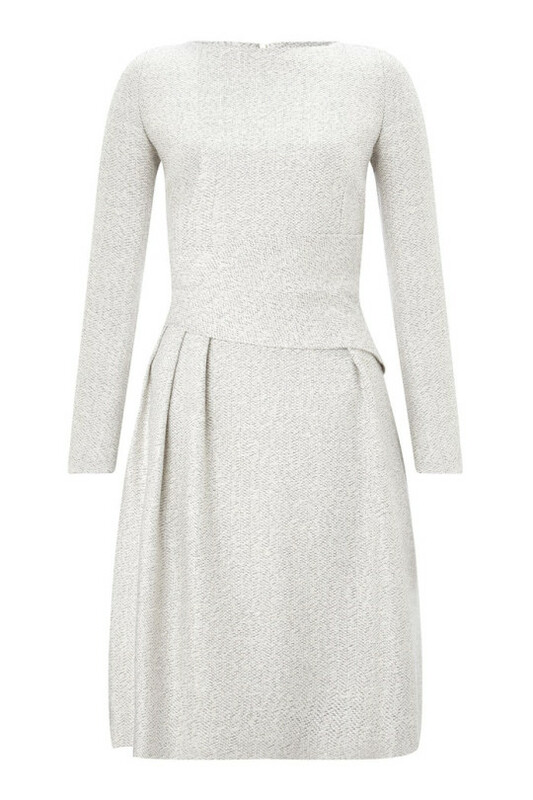 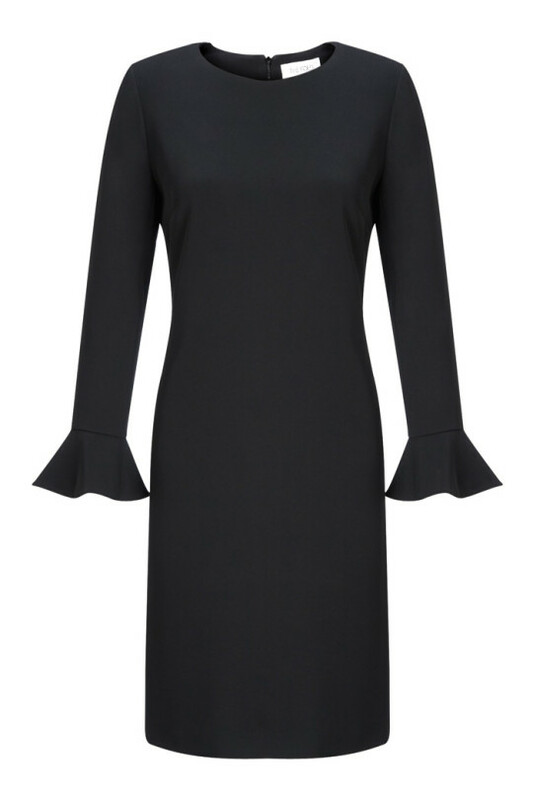 Not everything is black or white – we love navy for chic and sophisticated smart wardrobe essentials. 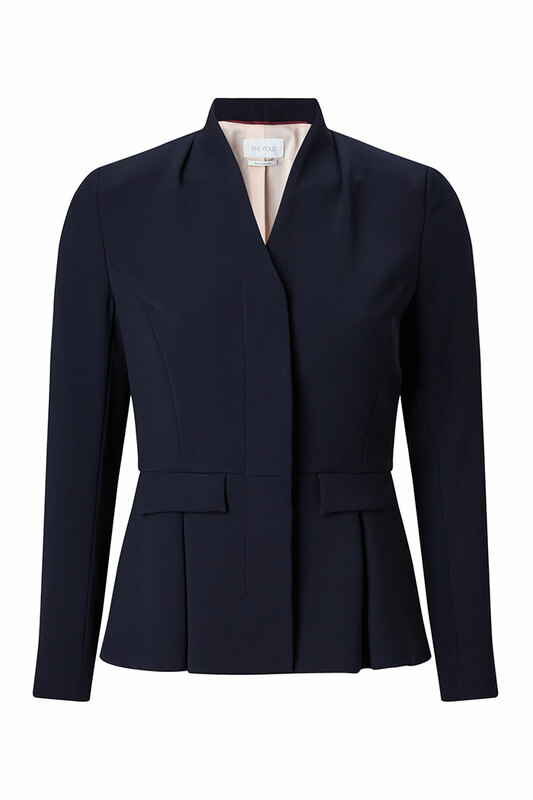 Impeccably cut from refined twill, our navy Peplum Jacket has a waist-defining cut with mock pocket flaps and crisp pleats through the peplum. 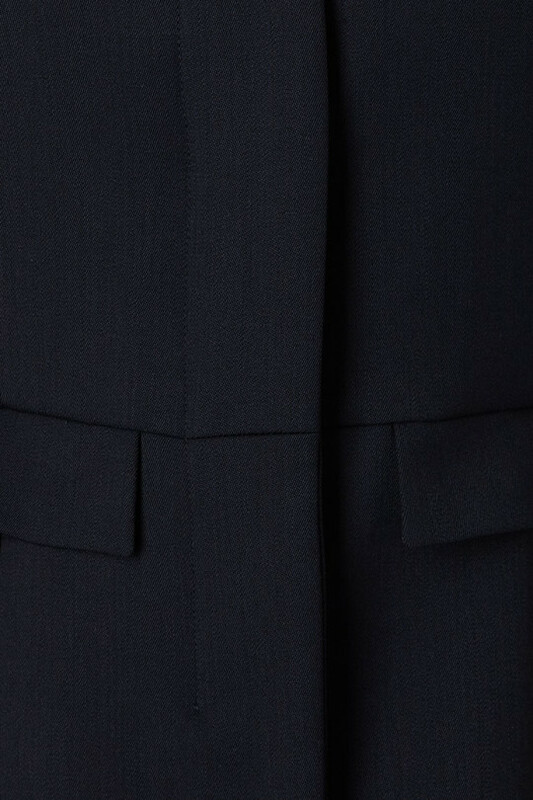 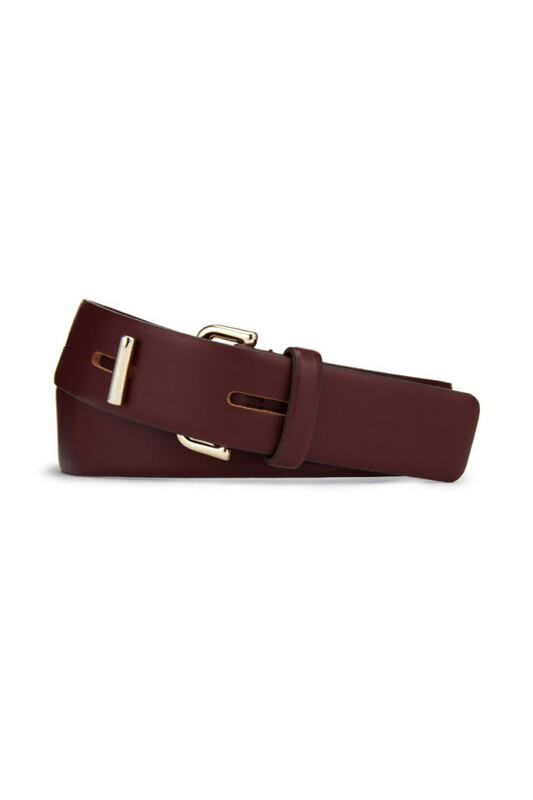 And whilst it looks incredibly sharp, the fabric is beautifully soft and mercifully crease-resistant, so have no fear to pack it for business trips and special events.